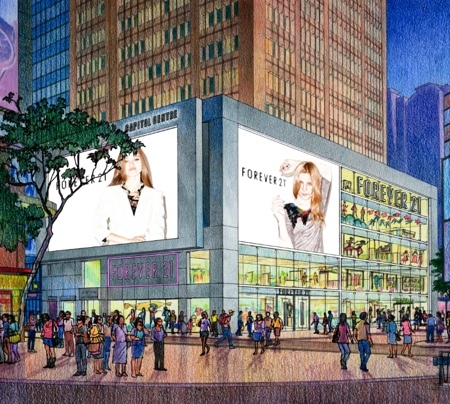 finally, among the chaotic crowded area of causeway bay, another fast fashion brand is blooming - on this coming Wednesday the 18th of Jan, 2012. yes, we are talking about Forever 21.
it will be a 6 floored huge store. since this brand is always one of the brands i look at everyday in terms of designing, their products won't be new to me. therefore i am not extremely excited about it.